What a sweet card for your eight year old grandson, Marsha. Those little birthday images are so cute and you've done a great job colouring them. Love it! Thanks for sharing. Thanks, Penny! I first used this set in a class but later on won it in a prize package during Taylored Expressions 10th birthday celebrations. It is a fun set. What a sweet and fun card! Perfect for your grandson - I'm sure he'll love it. Hi Marsha, love the colours you've used for this card. They add to the general happiness and make me smile. Love those fun little characters. 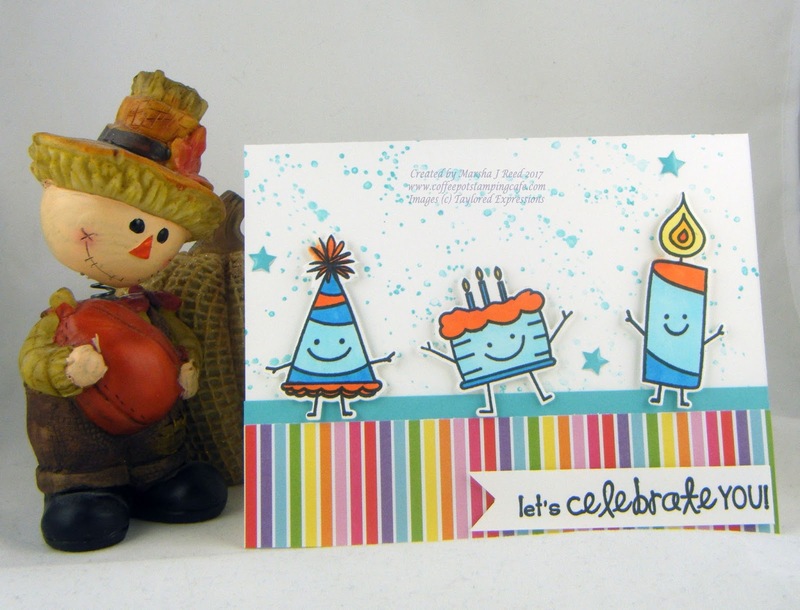 What kid wouldn't love to have dancing hats, cakes and candles at their party? 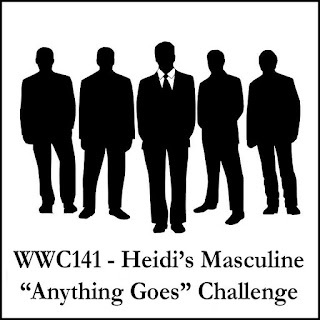 Thanks, Heidi! I love these characters. Adorable card Marsha! It's cute and whimsical. Great colors too!